Home / Games / PES 2019 PRO EVOLUTION SOCCER: Authentic soccer action! Is the control system good? I love PES 2019 PRO EVOLUTION SOCCER! Only a week later is World Cup 2018 officially started in Russia, after four years fans once again enjoy the football festival largest planet. This is the right time for us to play football games on the computer or on the phone to get into the World Cup atmosphere. Today, I will introduce you to a great football game called PES 2019 PRO EVOLUTION SOCCER. PES (Konami) and FIFA (EA SPORTS) are the two biggest brands in the world of football games over the past two decades. Thanks to the non-stop competition, these two products are gradually improving and deserving to be football games can’t be ignored. After the absolute success on the PC game market, the game has gradually entered the mobile gaming market. You can experience the “direct competitor of PES” are Dream League Soccer and FIFA Football: FIFA World Cup ™, but before that, go back to the main topic to review PES 2019 PRO EVOLUTION SOCCER. 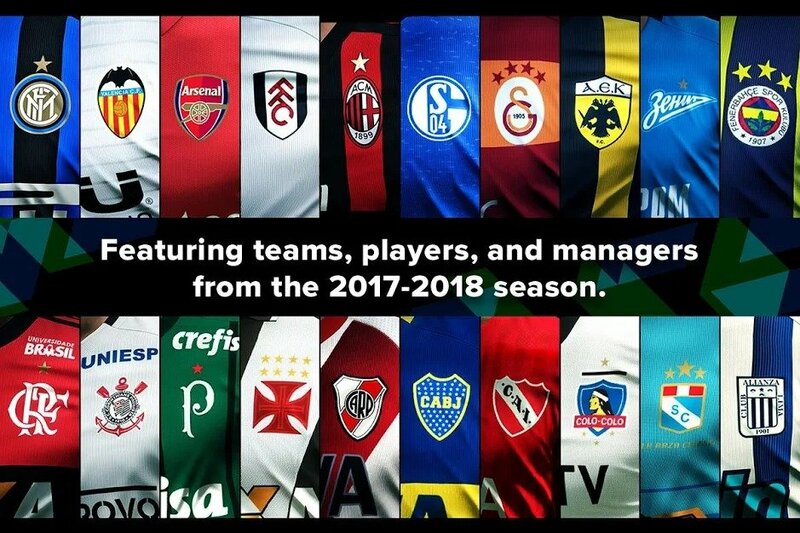 In PES 2019 PRO EVOLUTION SOCCER, you will not only enjoy football matches but also have the experience to become a talented manager. You will be in charge of a team that is responsible for all professional issues and issues such as economics, construction, transfer, communications. 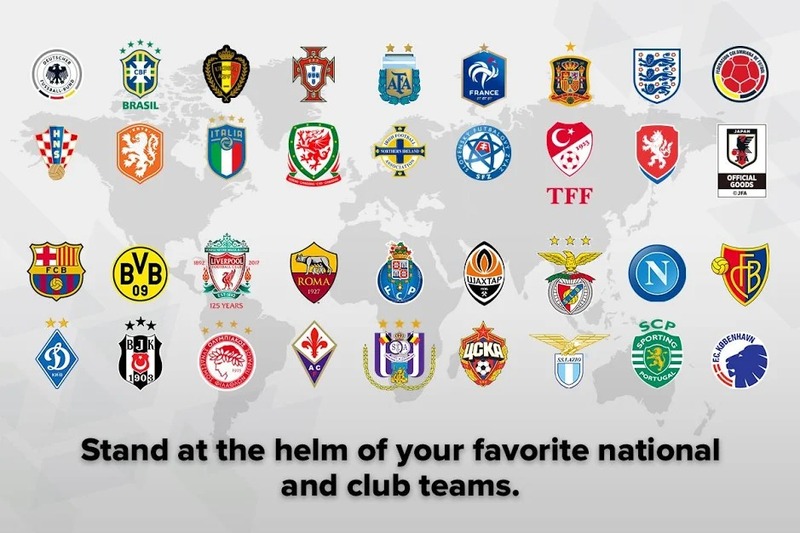 The game is full of football clubs and national teams corresponding to this year’s World Cup Finals. You are a fan of Manchester United and want to own the top stars like Paul Pogba, David De Gea or Lukaku? That doesn’t matter. You can even buy any player you want and take it to the Theater of Dreams. Moreover, you will live and breathe the exciting football atmosphere with the national teams around the world. World Cup is the dream of every player, use the best players and conquer the glory. There are also other tournaments such as Local Matches and Local Leagues. It allows you to create a league between you and your friends. What is more interesting than beat your friends by your favourite football team. Do you believe? In addition to the star players at the moment, the game also has retired players you have liked. 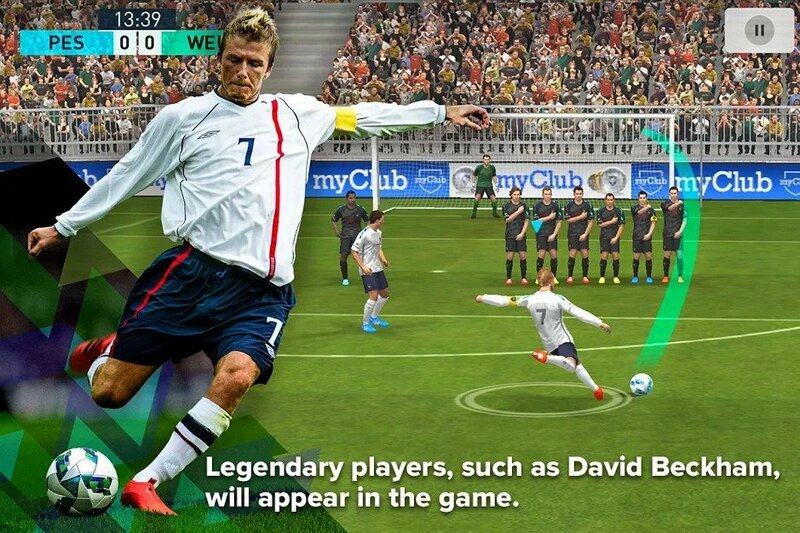 Do you want to once again see David Beckham, Ronaldo of Brazil, Ronaldinho or Cantona back on the pitch? Play PES 2019 PRO EVOLUTION SOCCER and experience it. What is better than see the current players and the legendary players playing together in the same club. Yes. The game control system is relatively smooth and easy to control. The game is optimized for the mobile platform so it’s smoother, suited to the small screen of the device. 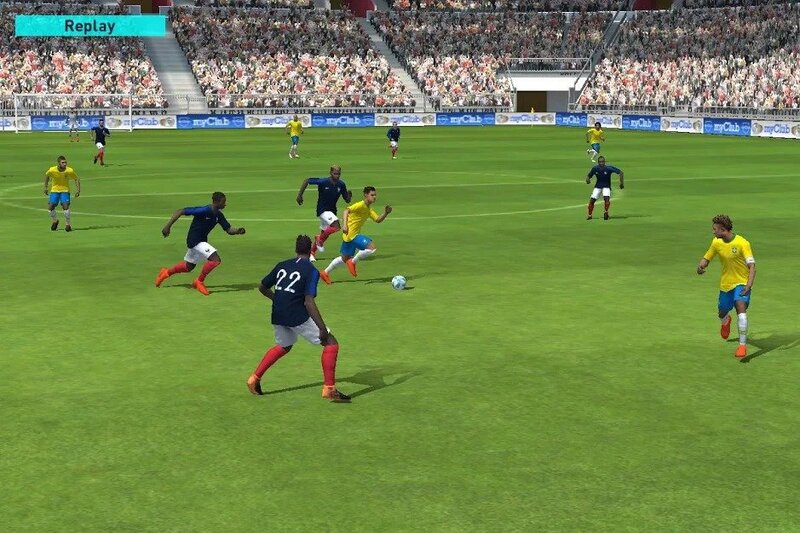 You can freely perform the skills of players or control the players passing while moving tactically. You will feel extremely excited whenever score the super goal in the opponent in the cheering of the fans. According to my evaluation, the graphics of PES 2019 PRO EVOLUTION SOCCER very good, although not comparable to the PC or Playstation version but it is also very good. The design of the players, the stadium, the lighting system is upgraded than the previous version, bringing the best picture experience for you. The sound is nothing new, you can still enjoy the familiar sound of a football match like the commentator, referee whistle and can’t lack the cheering sound of the fans across the stands. And of course, the game requires you to connect to the internet. 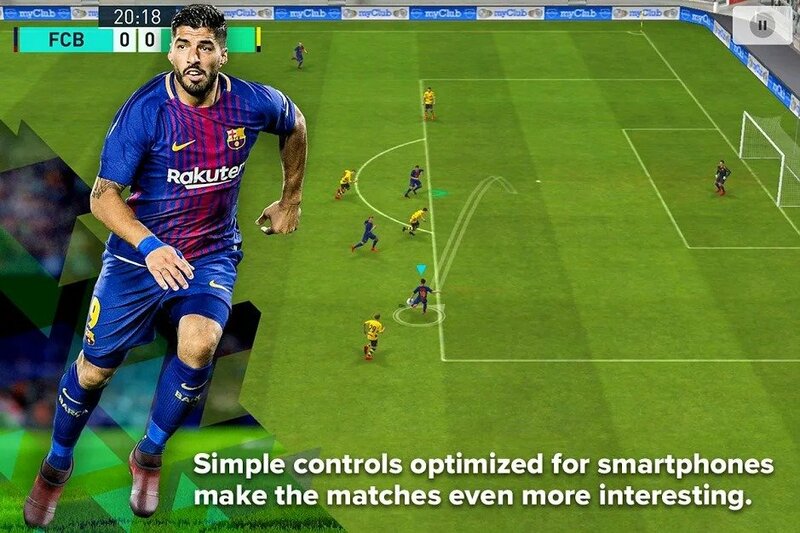 If you have ever played the latest PES or FIFA versions on your Playstation or PC, then surely you will feel the game has a lot of limitations about graphics and controls, which is also the disadvantage of the gamers when playing on the mobile platform. However, it is not so important if you are a football lover and want to enjoy a fascinating football game. And it’s so great when playing on the occasion World Cup 2018, right? PES 2019 PRO EVOLUTION SOCCER APK is ready to download! Depending on your needs, you can download PES 2019 PRO EVOLUTION SOCCER MOD APK or PES 2019 PRO EVOLUTION SOCCER Original APK. Or install from Google Play / App Store if you want.